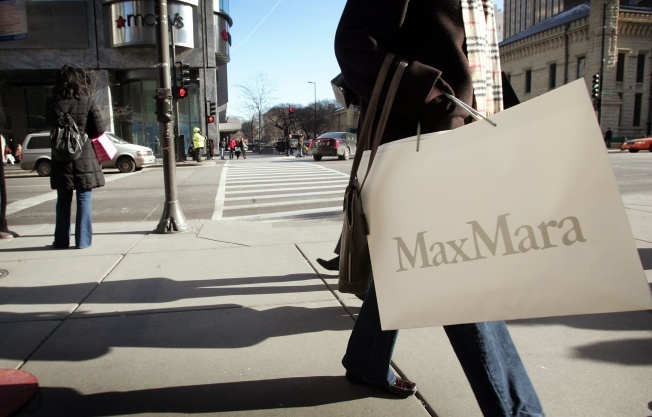 The shops at 900 N. Michigan, like MaxMara, are celebrating 20 years on the Mag Mile. The shops at 900 North Michigan will ring in their 20th birthday on Saturday, October 18th, from 10a.m. to 7p.m. To celebrate, the stores are discounting or giving away tons of great stuff. Take $20 off all shoes at Max Studio, plus 10 percent off any full-price item. Mario Tricoci is setting up free chair massages and mini-facials. St. Croix will credit $100 toward any leather jacket in stock or made to your measurements. There are several raffles planned, so go early if your nickname is Lucky. You could win a $200 Mark Shale gift card or a $500 MaxMara gift card. On top of the in-store offers, customers can bring receipts of $100 or more to the sixth floor concierge desk for a $20 gift card. This is one birthday party worth its weight in swag.